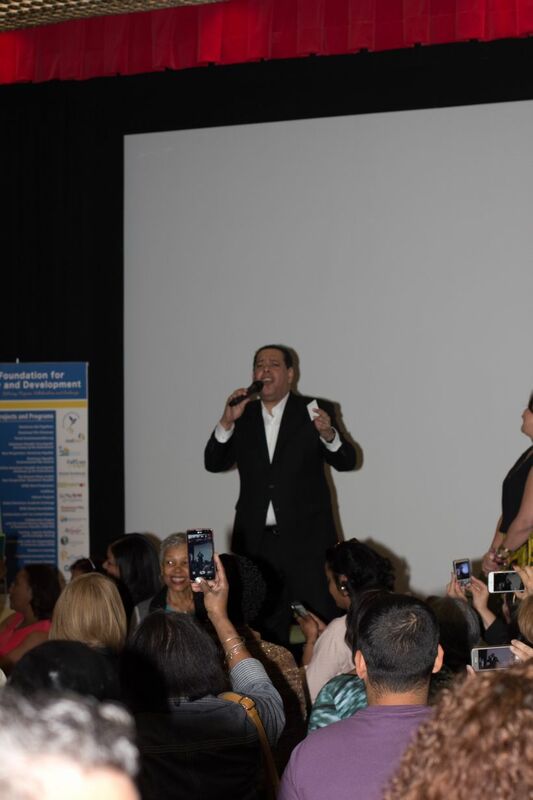 For its third Dominican Get-Together (DGT) of 2015, GFDD/Funglode welcomed Fernando Villalona, el Mayimbe, one of the most important musicians of the Dominican Republic, at the Museum of Arts and Design in New York on Thursday, May 14. 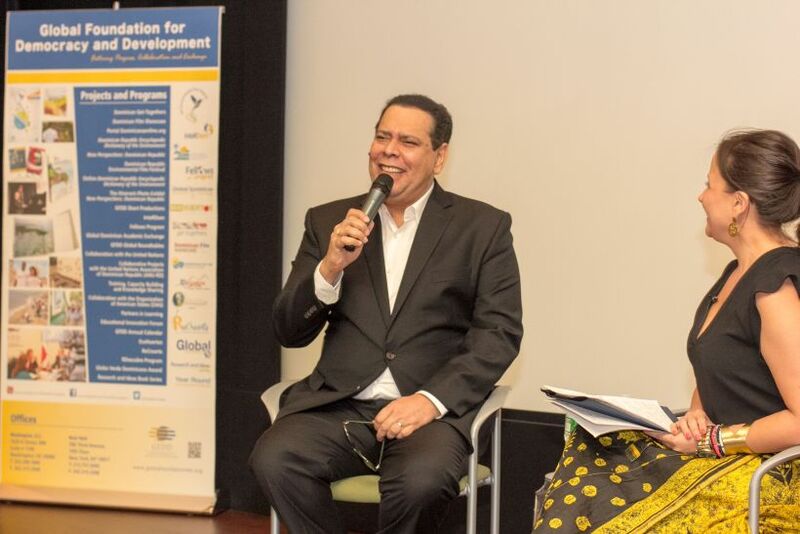 Villalona sat down with Maria Victoria Abreu Malla, GFDD’s International Affairs and Socio-Economic Development Program Manager, to talk about his life and music career that spans more than four decades, before giving a live rendition of some of his most famous songs. Abreu warmly welcomed the audience, reminding them of the importance of DGTs which seek to promote understanding and appreciation of Dominican culture, values and heritage, and to create opportunities for discussion of contemporary issues relevant to Dominican society in the homeland and abroad. She then invited guests to watch two videos, one presenting the various programs of the foundation and the other tracing back the career of Villalona over the past 45 years. 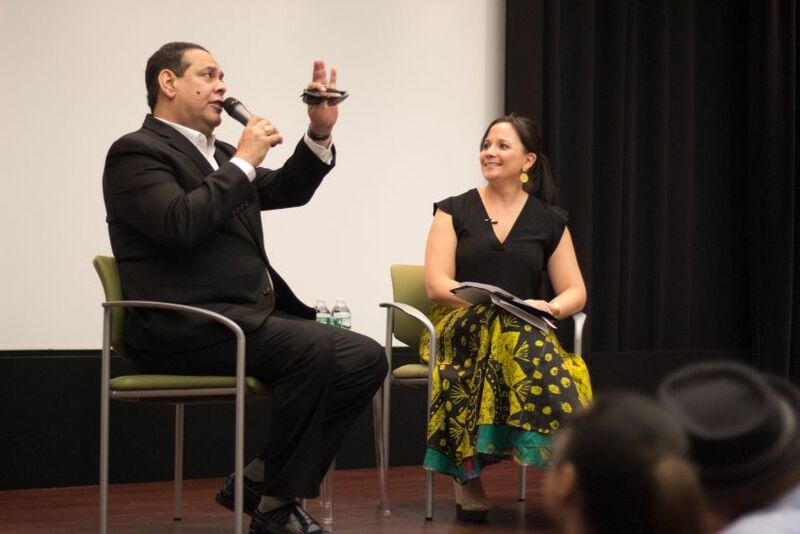 Before a packed auditorium, Abreu then invited el Mayimbe onto the stage to reflect on his music career and achievements which have included more than 20 albums covering numerous musical styles such as merengue, cumbia, bachata, boleros and ballads. During his discussion with Abreu, the artist explained to the audience how important music was to him, stressing that as a boy he would head to the park to sing on his own at night when the electricity in his house would cut out. Despite a tough upbringing by his father, whom he described as “cruel and hard” at times, Villalona stressed that his father was also his biggest savior at times when he needed guidance the most. Turning to his biggest inspirations, Villalona listed artists such as Jacko Monti and Fausto Rey to name but a few, stressing “I imitated all of them”. The artist explained that he shared a close bond with his audience, pointing out “I feel goosebumps when I sing as I feel that the Holy Spirit is coming through me and I know that the audience is feeling the same”. Looking ahead, Villalona told the audience “I will not retire from my career as a singer until the Lord tells me to”. Abreu then opened up the session for questions from the audience. Villalona was asked numerous questions about his career and was praised for his extensive contributions to music and for today acting as a role model to youth. The artist concluded his conversation with the audience about his career by stating “whoever walks this earth and does not leave a footprint has clearly not done anything”. 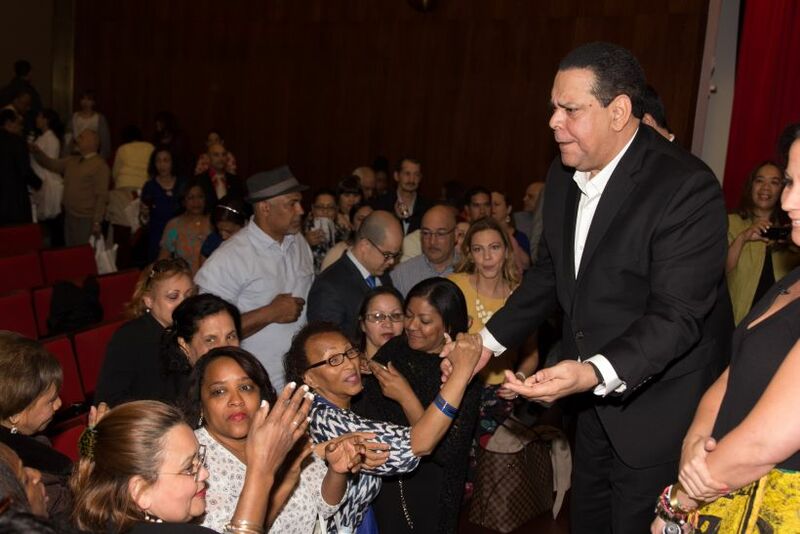 Following this intimate discussion, el Mayimbe delighted the audience with a rendition of several of his most famous songs including Penelope, Muchachita Mia and Dominicano Soy, before taking the time to pose for pictures and speak to each audience member individually.